1. What more could I be doing to help preserve my oral health? You’d be surprised by the information your dentist can glean by looking inside your mouth. Damaged enamel, for instance, can point to an overly acidic diet, and/or unnecessary pressure on your teeth. Gingivitis and tartar can indicate improper brushing or flossing. Even your breath can speak volumes; a foul odor can signify decay, dry mouth or an underlying health condition. 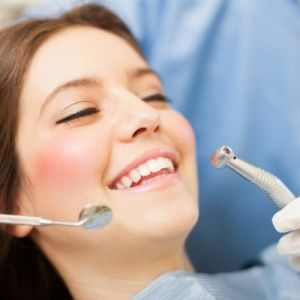 Whatever your dentist discovers, have him or her spell it out, along with helpful tips and recommendations, of course. Walking away with a plan of attack for your diet, hygiene and other habits can help you avoid future dental problems. 2. What dental products would you recommend for me? Just as your dentist can steer you against harmful habits, he or she can also help ensure you are using the right dental products. From the most effective toothbrush and paste, to the best flosser and rinse for your mouth, posing this simple question can save you stress and confusion the next time you shop for dental care products. Often, your dentist may even have a sample for you to try at home, so you can see if it’s to your liking before shelling out some cash. And, in some cases, your dentist may recommend prescription-strength dental products instead. 3. Are there any dental procedures that can help my smile? 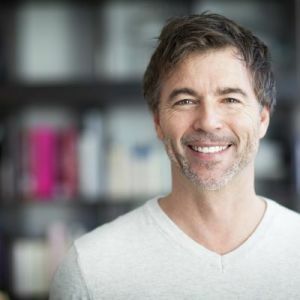 Perhaps brochures in the waiting room have sparked your curiosity, but chances are there are many treatments you are not even aware of that can help improve the looks and function of your teeth and gums. The only way to find out which ones make sense for you is to ask your dentist! 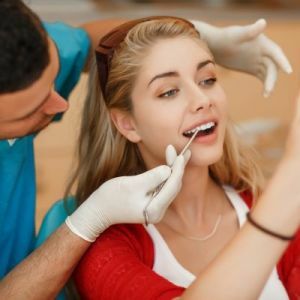 Even if you’re satisfied with the smile you have, it never hurts to learn what’s possible — especially for procedures covered (or partially covered) by your insurance. 4. What’s the latest buzz in the world of dentistry? New studies, products and procedures transforming dental care may benefit your mouth (and wallet). 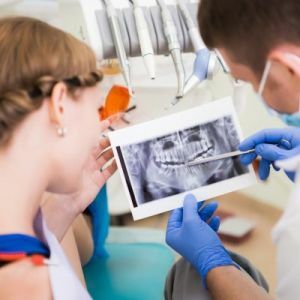 Asking your Dentist to share the latest news not only helps to give you a sense of how active he or she is in learning new methods and technologies, but also it can uncover new treatment opportunities you may not have considered. In addition to discussing developments in in-office care, get your dentist’s perspective on at-home preventative care techniques and trends. From oil pulling to DIY remedies, he or she can verify their effectiveness and clear up any questions or concerns. 5. Are there any important updates I need to share with my doctor? Due to the natural connection your mouth has with your overall wellbeing, health conditions (as well as side effects from prescribed medications) can often reveal themselves in your teeth, tongue and gums. Communicating oral complications and/or symptoms to your doctor can be instrumental in detecting and addressing certain health concerns accurately and efficiently. Similarly, sharing your medical history with your dentist may impact his or her approach and your eligibility for certain procedures. 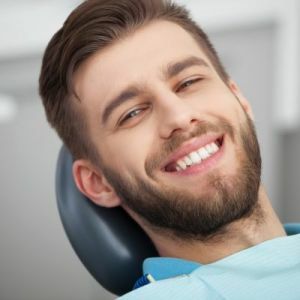 Engaging your dentist in conversation is a simple way to relax during your visit, while providing an opportunity to be honest and open about your dental needs and concerns. To ensure your discussion is as productive as possible, try to carve out some time to do a little research and note any important questions in preparation for your visit. If you are looking for Best Dentist then let our caring and gentle dental team look after you. Contact Definition Dental right now or Book online.